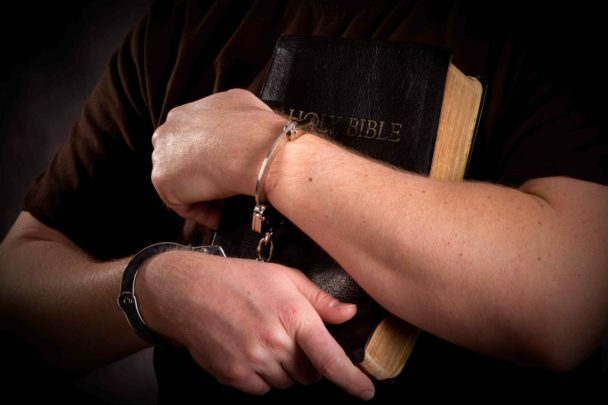 Your help with Prison Ministry is Needed! True Story. 2003-2007: Utter depression, hopelessness, loneliness, little-to-no contact with the outside world. Emptiness. Thoughts of suicide. Anger towards God and doubts that He even existed, to a final low period of darkness as never before experienced … alone. Gave up all desire to live. At that time met another inmate who told me God is a God of love. I couldn’t argue; he had been where I was, yet here he was before me; smiling, happy, free in spirit. I made a decision to try again; anything had to be better than the misery I was living; maybe his way was better. Hope returns! Transfer to new facility to get away from old lifestyle and start fresh. Still no outside contact other than family. Feb 2008-Dec 2008: Begin trying to study Bible and pray alone. Don’t really understand, but trying anyway. There must be more to life! Need guidance but still not much to be found. Dec 2008-Feb 2009: Broke rules and sent to isolation for 60 days. Twenty-three hours per day in a cell five feet wide by eight feet long, alone for 60 days straight. Allowed out only to shower and shave. I didn’t give up! Exactly the opposite. I spent almost ten hours a day reading the Bible and other books about God. He finally reaches me in the silence when I am separated from the world. Hope grows. Feb 2009-Sept 2010: Continue studying, still growing little by little, but still confused, with little guidance. Still have remnants of old behaviors and anger. Haven’t learned of compassion, love, salvation, or forgiveness. Still feel worthless. Sept 2010: My world crashes down around me again. Family foundations crumbling, losing relationships, feeling alone again. Where is God? Oct 2010-Present: God shows up! Transfer to new facility. At my weakest point I finally surrender my life to Christ. So tired. Many, many volunteers from prison ministry groups come to give us guidance. Very committed, they come consistently. They love us as we are, not trying to “force” us or “fix” us. They simply offer guidance to those who truly want it. They’ve had hard lives, too, and tell us their stories … and how God has brought .them through both the good times and the most horrible. I am attracted to this; I am drawn in, I feel a spiritual hunger as never before. I must have this spiritual freedom through Christ that they talk about . . . but how? I am an inmate serving 10-13 years in the North Carolina Department of Corrections. I desperately wanted to hear God’s guidance and love, but my ears were closed. God brought circumstances into my life to open them. When I was finally listening, he spoke to me through the mouths of community volunteers who gave their time once a ·week every week to bring this message of love and salvation to those lost behind the walls. It wasn’t just the words they spoke. As I Corinthians 13 tells us, words without love mean nothing. The proof was in their actions; they never gave up. Every time they showed up they were glad to see us, smiling and hugging us as if we were real people instead of caged animals to be feared. One individual, whom we’ll just call “Joe,” took the time to guide me one-on-one. We studied in groups as well, but he went out of his way for me, and asked only one thing in return: that I teach others what I learned, and to freely give away what was freely given to me. During this time, I learned to trust God, to search my heart, to honestly open up and confess to others, to become willing to work on my issues while realizing that only Christ can completely remove them, to be humble enough to ask for God’s forgiveness through faith in Christ, to go back and make right as much as I could of the damage I had done in my past, out of gratitude for the new life I’ve been given, to form a real and lasting relationship with God through fervent prayer and quiet times, and finally, to pass on this beautiful gift of love, life, and forgiveness to all who would have it. Today, as an inmate, I feel more free inside than I ever have in my life. I dare say more free and joyous than many people not behind these walls. My life has purpose; I am forgiven. I am a son of God and I know that today, and nothing can take that away from me. I leave the prison on passes, and speak to crowds about God’s love. In prison, I work with other inmates to teach them what I’ve learned, with love and compassion, but mainly through my actions, the same way I was taught by the consistent actions of community volunteers who gave their time for me. The only thing I ask is that it gets passed on, that it’s freely given away, the way I freely give it. It’s not mine to keep anyway! Nobody has a monopoly of God’s love. This is a true story. Do you think you’re not good enough to be a community volunteer? Do you think you’re too busy to spend one hour a week giving hope to lost souls? Do you think your message will fall on deaf ears? You’re wrong! Not you, but Christ working in you can change lives. Just by showing up and caring, you can speak more of love and forgiveness than the best author can by writing a library of books. God will open a door. All you have to do is walk through it. We’ll be waiting for you on the other side. –by an Inmate who has been given freedom in Christ!